The designers who work for the Italian loudspeaker maker Sonus Faber have attacked the problem of loudspeaker uniformity with creativity, ingenuity, and panache. Their Chameleon line -- comprising floorstanding, center-channel, and bookshelf models -- embodies the company’s typically elegant integration of curve, angle, technological innovation, and traditional sensibilities. The Chameleons’ appearance is stylish, classy, and contemporary. I wondered if the sound of the bookshelf model, the Chameleon B ($899 USD per pair), would match its looks. When I pulled the first Chameleon B -- the B stands for bookshelf -- from its shipping carton, the first thing I noticed was that it had no sides. Where most speakers this size have squared-off, sharp-cornered, rectilinear cabinets, the Chameleon B is more a 15-pound, trapezoidal solid with rounded corners. Its overall dimensions are 12.3”H x 7.2”W x 11”D. Inside the greater trapezoid, where the sides should be, are slightly smaller trapezoids, recessed about 0.75” from all four edges, and lined with a matte aluminum frame. Six small sheet-metal screws secure the aluminum frames to the sides. On opposing sides of each frame, in the center, are two engraved nameplates: Sonus Faber in italics, one reading top to bottom, the other bottom to top. Inside the metal frame is another trapezoid, made of a black synthetic material that feels somewhat like felt but much more like rubber. This mildly industrial styling is striking, but what’s unique about the Chameleon B is its interchangeable side panels of semigloss plastic, their inner surfaces covered in that same thick, felt-rubber material. These are offered in six colors: Black, White, Metal Grey, Metal Blue, Red, and Orange. Each panel is inserted in a side, and has a four-finger-wide notch that performs two functions: It gives you a hold if you want to remove it, and it lets you see that italicized Sonus Faber nameplate. The notch fits two ways: toward the back or the front of the speaker. To my eye, leaving the notch toward the rear gave the Chameleon Bs the appearance of forward motion. Switching panels couldn’t be easier: they pop right in and out. My review samples were shipped with panels of orange (bold, bright, unable to ignore) and red (subtle and mutable, they reflected sunlight and appeared to darken in shade), but the purchase price includes only one pair of panels per speaker. Extra panels cost $199/four. In front, a relatively broad aluminum ring surrounds the 1.1” fabric-dome tweeter. The 5.9” midrange-woofer is surrounded by a narrower ring that interlocks with its wider partner. Both drivers are mounted in a way that frees the front baffle from any protrusions -- the baffle is an understated, flat frame of plastic that holds the magnets by which the minimalist grille is held in place. Even the grille is notched, to accommodate a small plastic Sonus Faber nameplate at the baffle’s bottom edge. But why anyone would want to cover the Chameleon B’s face with a grille is beyond me. This speaker deserves to be admired from all angles. In Brooklyn, the summer of 2015 was, for the most part, unforgivingly hot and humid. While in cooler months I’d have driven the Chameleon Bs with my Raysonic SP-300 tubed integrated, that amp runs way too hot. I did all of my listening with NAD’s D 3020 integrated, connected to the Sonus Fabers with 9’ runs of Element Cable Double Run speaker cables terminated with banana plugs. My source component was an Apple iPod Classic 160G, sixth generation, loaded with Apple Lossless files and connected to the NAD with a Monster Cable link. The Chameleon Bs replaced my trusty pair of Bowers & Wilkins DM 302 minimonitors on a pair of 26”-high Target stands about 2’ from the front wall, 8’ apart, and toed in toward my listening seat. I set my iPod to Shuffle. 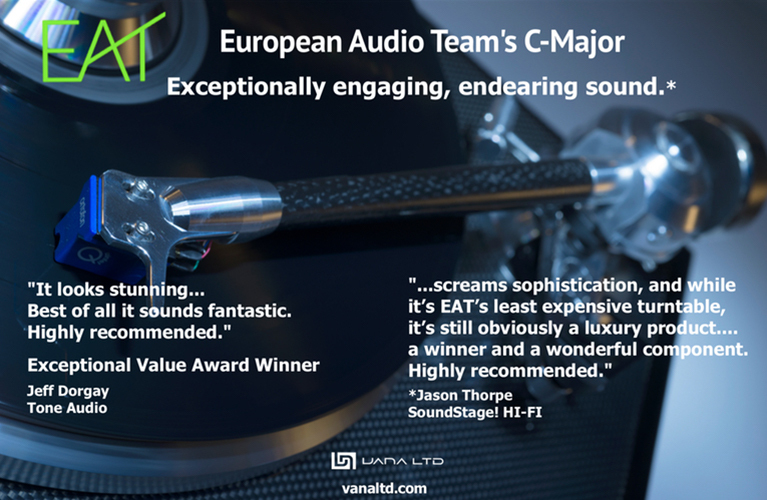 The Chameleon Bs presented a well-balanced overall sound, a stable soundstage, and pinpoint imaging, track after track. “Caledonia,” from guitarist Robin Trower’s Long Misty Days (16-bit/44.1kHz ALAC, Chrysalis), roared from the Sonus Fabers. Trower’s choppy comping and piercing solos were by turns nimble and lacerating, the Chameleon Bs sounding powerful in the lows and grain-free in the highs. Their bass was tight, with exceptional low-level resolution, and the separation of Trower’s stinging guitar and Jimmy Dewar’s thunderous vocals was well delineated yet coherent. On a bass-heavy track like “Preacher’s Daughter,” from Anthony Hamilton’s Ain’t Nobody Worryin’ (16/44.1 ALAC, Sony Music Special Products), the Chameleon Bs could rumble, pouring bass notes across the floor of my listening room, seemingly on the verge of letting them slip out of control but never losing its grip. 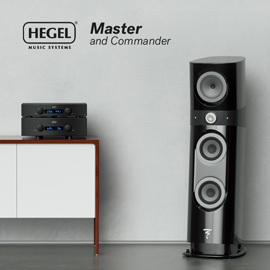 These well-defined lows combined with the Chameleons’ impressive soundstage depth and solid stereo imaging to produce exceptional dynamics. The little Sonus Fabers were also able to handle the studio sound of Stevie Ray Vaughan and Double Trouble at full strength in “May I Have a Talk With You,” from the posthumous The Sky Is Crying (16/44.1 ALAC from CD, Sony). The Chameleon Bs picked up on the slight drag in Vaughan’s guitar phrasing, making music with a sense of pace and commitment to emotional communication, and with superb extension at both ends of the audioband, free from glare or congestion. When the unseen hand of Shuffle mode brought up “It’s a Long Way to the Top (If You Wanna Rock ’N’ Roll),” from AC/DC’s High Voltage (16/44.1 ALAC, Epic/Legacy), the Chameleon Bs proved they could boogie with the best. I got the feeling that Bon and the boys wanted to stir us up on this track, and I assure you that the infamous bagpipe soloing was piercing and overmodulated, as was every other element in the band’s attack. There was plenty of macrodynamic punch -- the Chameleons approached the wallop of bigger speakers with larger and more numerous drivers -- yet when I gently touched the midrange-woofer to take its pulse under such stress, it was barely flinching. The Sonus Fabers had no trouble keeping their Continental cool. I next went from the expressionism of AC/DC to the introspective melancholy of “Levi Stubbs’ Tears,” from Billy Bragg’s Talking with the Taxman About Poetry (16/44.1 ALAC, Cooking Vinyl). The production style mirrors the hollowness at the center of the song’s main character, and through the Chameleon Bs the track had a sense of open space, as if the soundstage had suddenly been expanded. The room was filled with ambience, and the speakers met the singer’s timing, enabling him to tell his story at his own pace. The music became tinted and liquid with a heightened sense of realism. Bob Seger’s concerns are a bit more prosaic in “Mary Lou,” from his Night Moves (16/44.1 ALAC, Capitol): his woman made off with his valuables, including his Cadillac. As Seger enumerates what he’s lost, his voice needs to convey a combination of outrage, betrayal, anger, and resignation. That’s just what I heard through the Chameleon Bs. Seger’s voice was focused and colorful, with excellent presence and authority -- this guy may not be able to get his stuff back, but he sure can sing about it. The Chameleon Bs fairly scorched my walls with his intensity. The little Sonuses delivered intensity in spades from the MC5’s “Kick Out the Jams,” ripped from the soundtrack to the documentary Joe Strummer: The Future Is Unwritten (16/44.1 ALAC, Columbia/Legacy). I could picture singer Rob Tyner bending his body to the rhythm of the music, the speakers conveying how the group built tension in the push and pull between lead singer and band. Pure adrenaline, release, and fun. Patti Smith slowed things down as “Birdland,” from her Horses (16/44.1 ALAC, Arista), began to come into focus, the piano setting the tempo, Smith speaking and moaning and declaiming, as her poem demands. The Chameleon Bs’ greatest strength was to captivate me by their reproduction of this full-bodied, keening performance, never letting my attention drift away from the musicians’ intentions. Above all else, the Chameleon Bs respected the architecture of the music, reproducing drama and scale as befit the performance. Rather than sterile or simulated, their sound felt natural. In heaven, they say, the English greet you at the door, the French do the cooking, the Germans organize your schedule, and the Italians provide the entertainment. In my listening room, my almost-20-year-old B&W DM 302s are gracious hosts. They’ve served me well, and the music they make is reliable, honest, and dignified, with an emphasis on midrange warmth, while staying true to the excitement and feeling at the heart of all great music. I’ve had many other speakers in my listening room, but I always return to the 302s, perhaps in spite of their conventional boxy look and unremarkable Black Ash vinyl finish. So I’d be reassured if, in Audio Heaven, the B&Ws greeted me at the door -- and even more so if I saw that that eternal party’s EmCees were the Sonus Faber Chameleon Bs. Before they codified their sound, U2 was pretty experimental, a quality that may have reached its apotheosis in 1997, on Pop. “Do You Feel Loved” (16/44.1 ALAC, Island) radiated from the Chameleon Bs with relaxed, balanced assurance, detailing the Edge’s guitar effects, and supplying the primal complexity of Larry Mullen and Adam Clayton’s rhythms and Bono’s sinuous singing. The Chameleon Bs were able to control this track’s wide range of musical information. In 2015, pop is exemplified by Taylor Swift, and her 1989, with all its compression and Auto-Tuning and computerized instrumentation, is irresistible (16/44.1 ALAC, Big Machine). Man, did “Welcome to New York” sound fantastic through the Chameleon Bs. 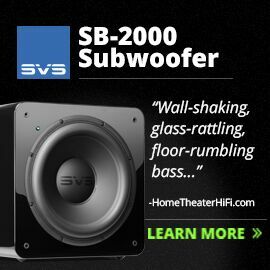 In a word, what was fantastic was the volume, in quantities one might expect from drivers that can push more air, or a speaker with a higher sensitivity. The Chameleon B’s claimed sensitivity is a moderate 87dB, but NAD claims for the D 3020 an “IHF dynamic power” of 105Wpc into the speakers’ 4 ohms. None of that really mattered. Swift’s voice went right to my heart, the speakers playing their part in the singer’s story, offering inspiring crescendos, powerful pauses, and addictive clarity. The Chameleon B’s size is about average for a stand-mounted minimonitor. Its sound is anything but. I’ve had speakers in my listening room that I’ve described as sounding bright. The Chameleon Bs sounded lively. Other speakers I’ve described as sounding warm. I wouldn’t call Chameleon B that, though its sound certainly includes warmth. I’ve heard speakers with greater bass rumble, longer decays, more impactful slam -- but none at the Chameleon B’s size, and usually without its overall richness. This speaker is well named. It’s the consummate Chameleon, drawing the best from a wide variety of designs and techniques of sound reproduction. Through exquisite engineering, beautiful industrial design, world-class fit and finish, and superior inner detail and resolution in its ability to make music, this speaker is a marvel. 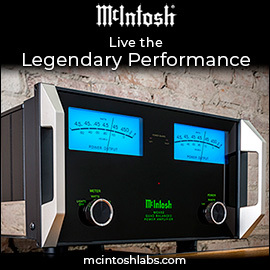 It’s as if the materials of which it’s made, natural and human-made, and its almost Grecian design proportions, have been combined to produce a speaker that delivers the best of what listeners want: top-end clarity, midrange truth, and bass extension, all in the proper balance, and with an aesthetic attractiveness as pleasing to the eye as to the ear. 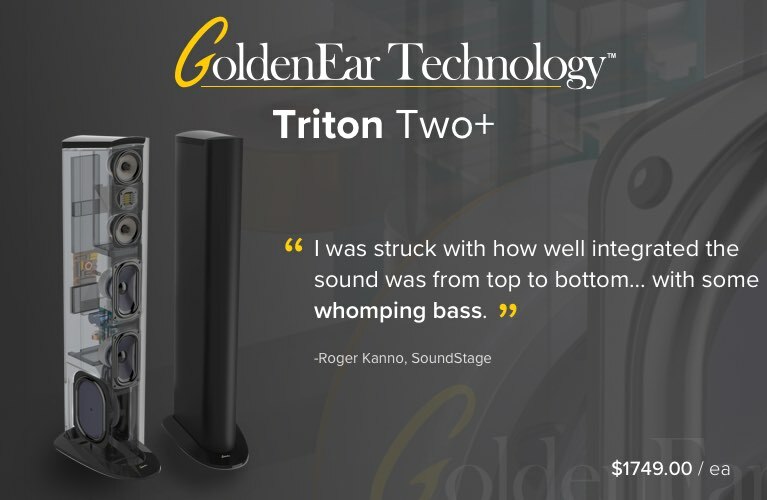 Price: $899 USD per pair; extra side panels (two per speaker), $199/four.